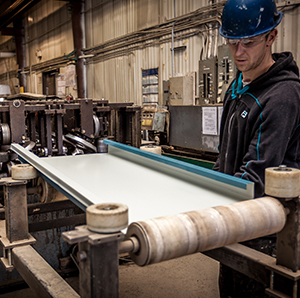 MakLoc Buildings is always growing and introducing new, innovative technology to our shop. We also have an active social club that allows our employees to enjoy time with coworkers away from the office. Check back frequently to see what’s new and exciting with MakLoc Buildings! The MakLoc Buildings IT department is continually looking for advanced technologies that incorporate state of the art metal buildings technologies in our business. We strive to be a leader in the industry in terms of innovation so we can deliver the highest turnkey solutions to our customers. We have engaged various cloud based software to Read More..
At MakLoc, we want all of our employees to feel safe and comfortable in their surroundings. We value happy, healthy employees and want to ensure that topics are addressed as required. Bullies at Work: What to Know, What You Can Do When you hear the term bullies, chances are you may think of children in Read More..
A big part of our business at MakLoc’s is to participate in driving activities. We are aware that driving is one of the highest risk activities to us and we take it upon ourselves to ensure that we are utilizing safe driving techniques when operating all equipment including motor vehicles. One component of safe driving Read More.. The MakLoc Construction team has more than 300 years of experience erecting pre-engineered rigid and self-framed metal buildings. This allows MakLoc to erect steel buildings all over the world and provide our customers with an experienced professional team that will provide a quality building erect safely and on schedule. MakLoc utilizes and employs all in-house Read More..
After long consultations with employees and management, MakLoc Buildings Inc. is excited and proud to announce our new Mission Statement and Commitments that will help guide our business into the future and provide employees with a sense of purpose and direction. MISSION STATEMENT MakLoc strives to be the number one choice for steel structure and Read More.. The Engineering and Drafting Department at Makloc Buildings Inc., continually strives to provide a broad range of the most innovative and economical metal building solutions, while ensuring strict adherence to all relevant building codes. We provide 3D models and renderings of our Rigid Frame and Self Frame Buildings, as well as our line of chemical Read More..
MakLoc Buildings Inc. is proud to announce that their yearly recertification audit was conducted in April, 2017 with no NCR’s issued and no areas of concern highlighted by the auditor. Accordingly, continued certification to CSA A660 was achieved. In accordance with the National Building Code of Canada, steel building systems shall be manufactured by companies certified Read More.. Different lifting methods can have an effect on your prefabricated building design. Bottom lift modular building solutions have become a staple in the Western Canadian prefabricated building market and are widely used across all modular building applications… This doesn’t always mean that it is the best design for your modular building. Understanding your options when Read More.. The project management team at MakLoc Buildings is committed to the success of projects both big and small, no matter how simple the job is we ensure that every project is individually assigned to one of our team members. All of our project management team is either working towards or has certifications such as: P.Eng, Read More.. When an emergency suddenly is upon us, it is invaluable to ensure proper procedures are in place to help protect assets and more importantly save lives. At MakLoc we believe that the key to dealing with major emergencies is to implement effective emergency response plans and training for our employees. As a manufacturer, supplier and Read More..
View Map 235145 Wrangler Drive S.E.